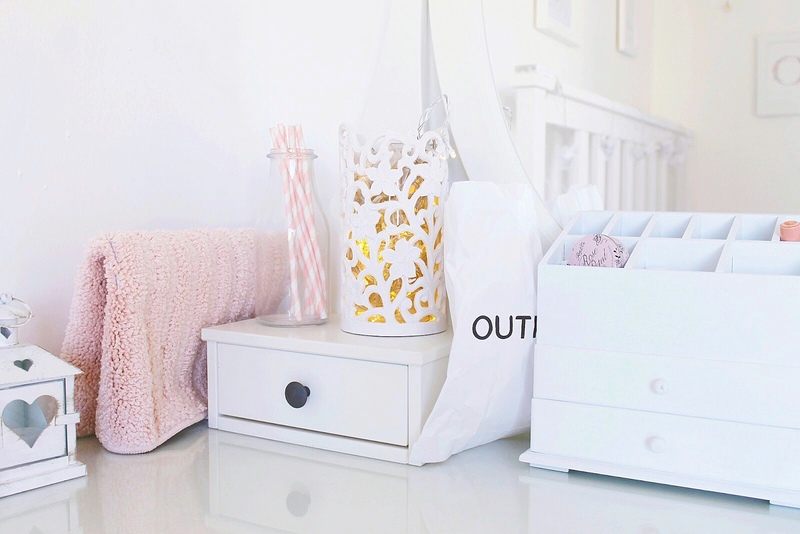 "Ice Cream" whispers Clara | Romantic and Lifestyle blog: Pretty, girly Ikea home decor... and extras! 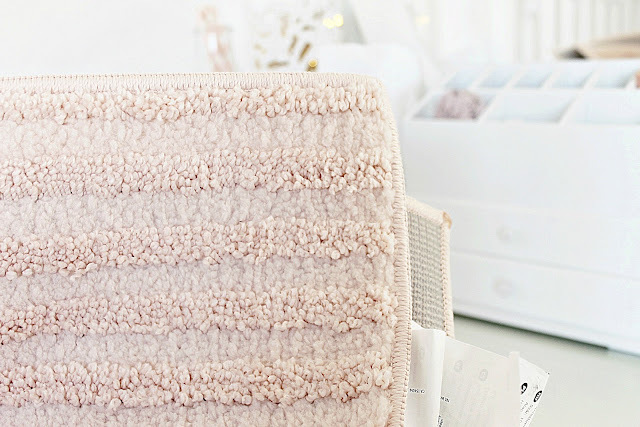 I bought a really pretty bathroom rug in pink! 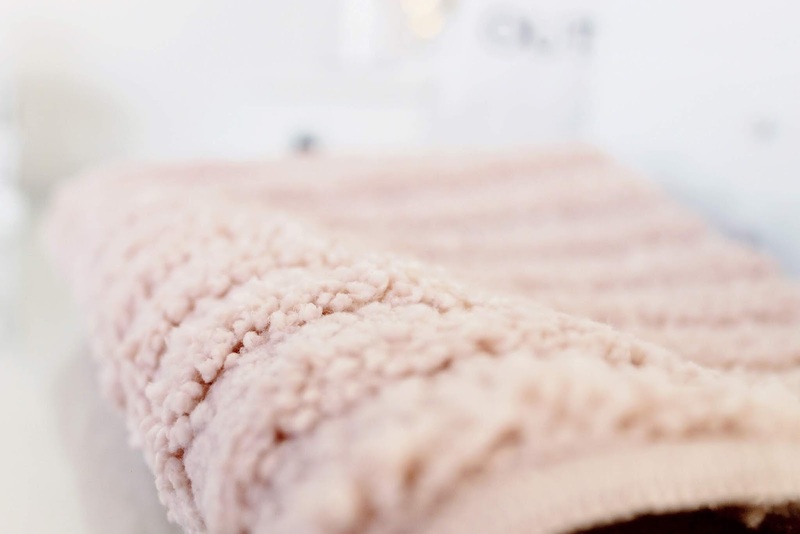 When you skim through the showrooms looking for the food hall them cinnamon buns though and there is a whole crate of fluffy pink rugs reduced to under £2. Luckily I had £2 to spare, in Ikea all inhibitions go out of the window haha. We get to visit so little, that is how I justify it. I can just imagine getting out the shower and sinking in to this, it's really fluffy and soft. I haven't used it yet, I want to keep it by my bedside and stroke it. I bought a few of the famous IKEA 'makeup storage' pots for my dressing table. 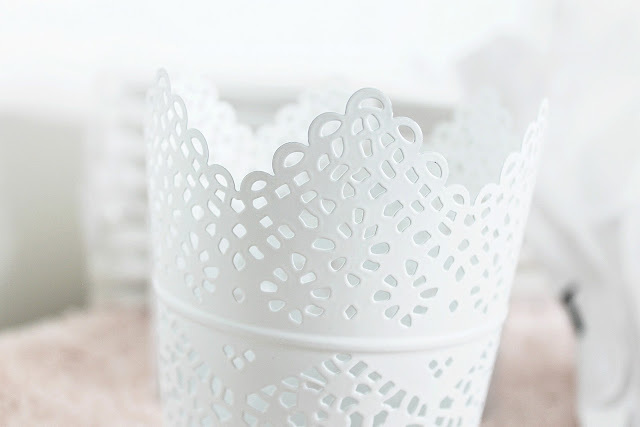 They make gorgeous candle holders as the light bleeds through the little lace effect cut outs. They also had some really cute new little holders I didn't photograph yet, they will be perfect for holding little festive votives. 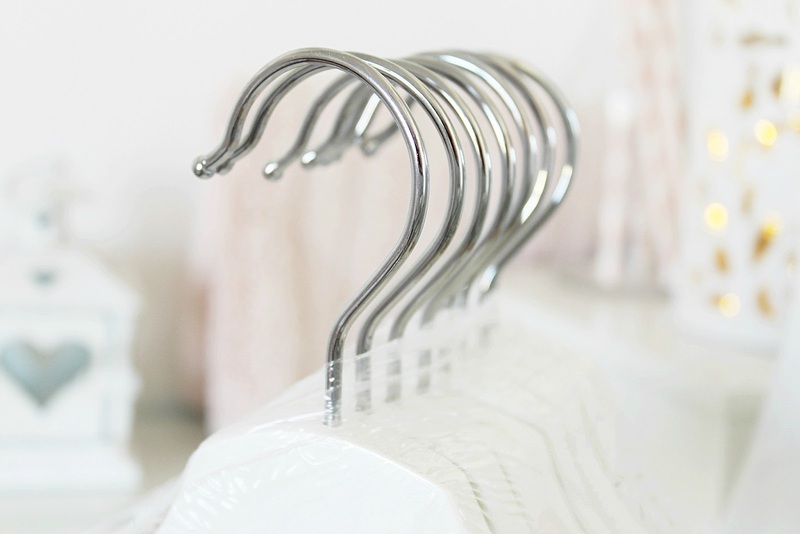 I picked up some more white hangers from Ikea. Every time I go I purchase some, I am one of those weird people who always hangs up their favourite pyjamas. It's so satisfying, I love how they look all snug in my closet haha. These come eight in a pack for only around £4, they are perfect. 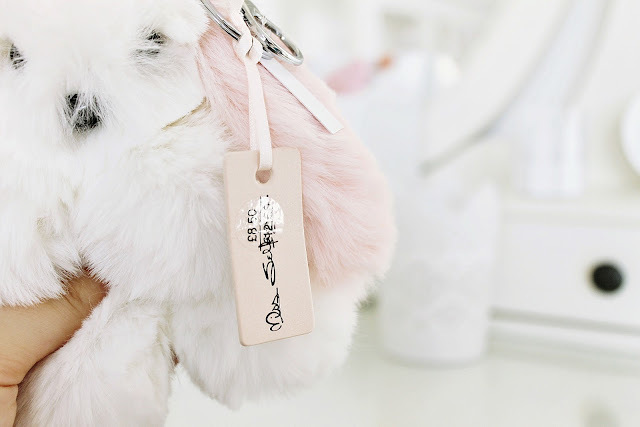 From Miss Selfridge in 'Outfit' I found this adorable fluffy bunny keyring. It think it's meant to be a bunny, or maybe a puppy, I can't tell under all of the fluff, it's absolutely gorgeous! 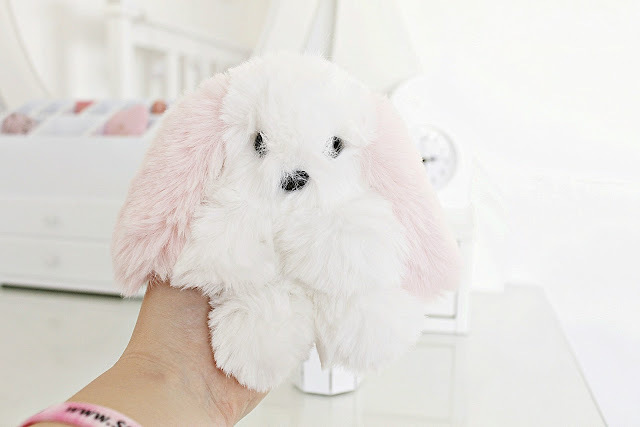 I have quite a few fluffy and cute keyrings I've collected over the years but this is just a huge ball of fluff. It's pretty much a huge animal shaped pom pom I can attach to my bag or keys. I am loving Ikea at the moment! The makeup storage pots are great! I really ought to get some of these... All my brushes are always in makeup bags. But one day, I will organise my makeup and make it look pretty haha! Thank you for sharing your little bargains Elizabeth! Your blog aesthetic is always so pleasing! 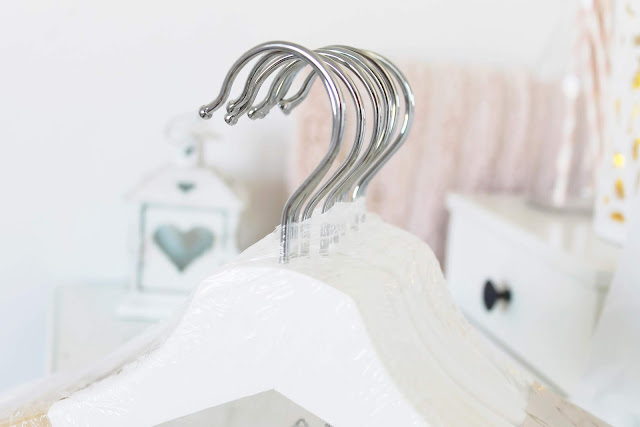 I have been trying to find some affordable hangers that are simple and pretty to that my wardrobe looks a bit more put together (at the moment all my hangers are just random and non-matching) and those Ikea ones would be perfect! 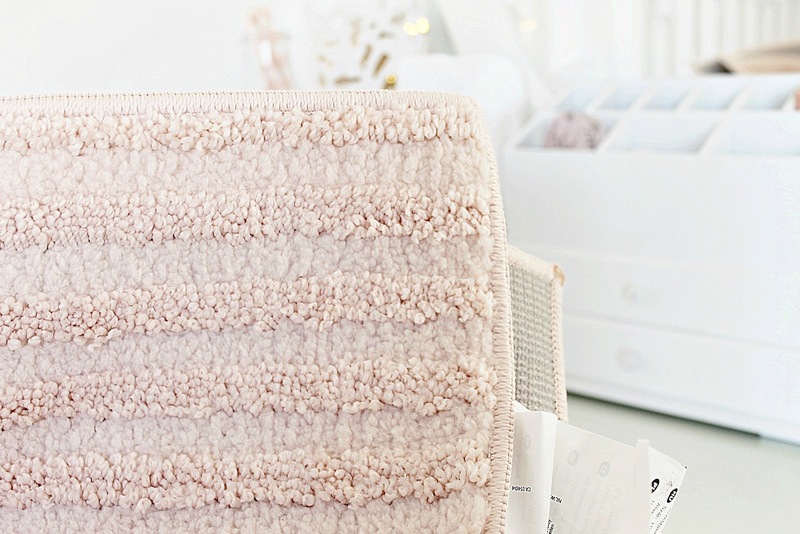 And that pink bathroom rug, definitely something I would out in my bathroom. The details are so cute. Cinnamon buns from Ikea though *drools*. That bath matt looks gorgeous! Those socks are adorable too. I love IKEA. Such a great place!